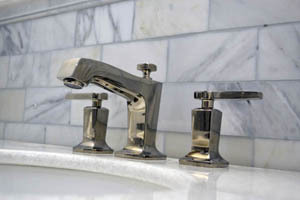 We are a full service, repair plumbing and drain cleaning company available for all residential and commercial needs. Years of serving our customers with superior quality of work and dependability have earned us our great reputation in plumbing and appliances, so you can rest easy, and know that Angler Plumbing services will deliver. Our friendly and efficient staff is available anytime to help solve any of your plumbing needs. You will enjoy our knowledgeable service men. Our job sites will always be left clean. Service is our top priority. “I was in desperate need of a plumbing solution, because I had a DIY landlord, who couldn’t get the situation with our toilet fixed. I made a call to angler and Fabian and his helper came out, fixed the toilet my landlord tried to replace three different times. They were fast, efficient and effective. $125.00 snaking for any bathtub, bathroom or kitchen sink.